Today, DBS introduced me to Harvey’s Bristol Cream. I am not going to lie and say that I knew all about this beforehand, because I didn’t: to be quite honest, I hadn’t even tried any sherry before, let alone “cream sherry”, and, in my ignorance, was expecting a cream liqueur to be hidden within this tall, blue glass bottle. How wrong I was! For those of you who, like me, may not know much about it, Harvey’s Bristol Cream is a sherry, with no dairy products in sight. Sherry is a fortified wine and, although wines bearing the name Sherry have been produced around the world (even our home-town once made British Sherry! ), true Sherry comes from the region around Jerez de la Frontera in Spain. It is made with white wine, primarily from the Palomino Grape, and is fortified with brandy after fermentation. There are a lot of varieties available, but today we are focusing on Harvey’s Bristol Cream. Bristol Cream Sherry is a product from John Harvey & Sons of Bristol. The origins of the business go back to 1796, but John Harvey joined the trade as an apprentice in 1822. In the 1860s, his two oldest sons were working on a new blend of sherry, which was to become Bristol Cream Sherry. It it said that it is so-named because an aristocratic lady visiting the cellars one day was invited to try another sherry, Bristol Milk (a popular variety of the day), against their prototype and declared that the latter to be so good in comparison, that it must be “Bristol Cream”. Bristol Cream used to be imported and bottled in Bristol, but today it is bottled in Origin in Spain. It’s a blend of a whole host of different varieties of sherry, including finos, aged amontilados, and olorosos, before finally being sweetened with Pedro Ximenez; so you get to enjoy a bit of everything. The nose is rich and fruity: grape, sweeter raisin, and brandy, that brings to mind Christmas puddings. On the tongue, it is very smooth and actually runs through the same flavours as I got from the nose: fresh grape to start, that deepens into a nutty, raisin-like sweetness, before finishing with a lovely, warm brandy flavour, neatly accompanied by a warmth in your stomach. The nose is dominated by the orange, but the sherry happily holds its own on the tongue. Smooth, but lasting, with a sweet start followed by a long, relatively dry finish of raisin and the kind of non-sweet candied peel that you get in fruit cake. The finish develops slowly with a lovely warmth gradually forming. There’s a lovely nose of cucumber and citrus from the garnishes. On the tongue, it really starts out like a fruit cup, then the rich flavour from the sherry comes in afterwards: there’s a nuttiness at the beginning, followed by a dark wine, vermouth-like flavour that has a herbal sweetness to it. 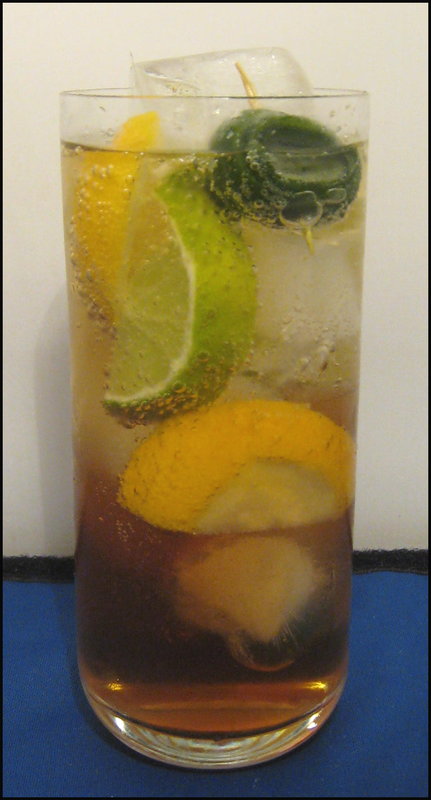 DBS noted that it’s similarities with red vermouth explains why it works well in this kind of drink; after all, vermouth is a key part of fruit cup.After half of the drink had been finished, the fruit flavours from the garnishes came through more – especially lemon and cucumber. The finish from the sherry was long, but not overly sweet, which was nice.What I really enjoyed about this drink was how it developed as I drank it, which I imagine has something to do with how much you stir it initially. Personally, I loved the unabashed, strong start from the sherry, that – as it was gradually watered down by the ice – turned into a refreshing long drink with intermingling fruit flavours, akin to the best fruit cups. Definitely one of my favourites. This drink had a very subtle start, and then – two seconds later – the sherry makes a flamboyant entrance with rich grape and slightly more savoury, nutty flavours coming through strongly. Unlike some of the other cocktails, the sherry really comes through on its own in this drink, rather than blending with any other flavours; it takes centre-stage. At the end, there was a warm, spicy, dark-fruity flavour that reminded me of Christmas pudding. This drink had a nose of fresh grape and – again – herbal, red vermouth-like flavours. To taste, it was sharp and invigorating; DBS said “bracing” (which I thought went very well with my mental image surrounding the name!). There was an intriguing saltiness to start, that flowed into a rich, distinctive, vanillia-like creaminess that DBS tells me is from the lime. There was a real warmth afterwards at the back of the throat, too. Although this wasn’t my favourite cocktail with the sherry, I thought it was nonetheless a very interesting one and one that I think would be good to drink before dinner. This had a similar nose to the Quarterdeck – grape and other, herbal vermouth notes – only with hints of orange and an unexpected sweetness. On the tongue, I thought that this both delicious and balanced: the sherry and vermouth are perfectly matched. 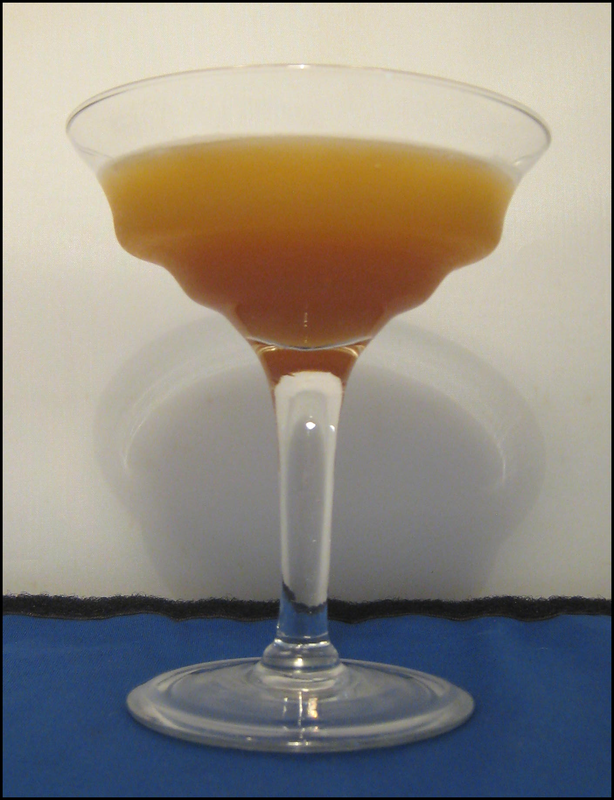 Rich and herbal, with a subtle, orangy sweetness that sweeps into a clean, balanced bitterness at the end. There was also a lovely warmth in my stomach afterwards. I could not quite believe how deliciously smooth this was (I had to finish it, just to make sure). I found that fresh grape flavours came through more than in any of the other cocktails, followed by hints of the nuttier, richer flavours at the end, before a very clean finish. Nice and light, with a raisin-like sweetness in the middle of the grape notes. DBS & I weren’t big fans of the name of this one; upon reflection, I thought that “Sweet Apple Zing” had a bit more of a ring to it. Again, this was very easy to drink, but more so if you have a sweet tooth. The sherry adds a Christmas-y undertone to the apple juice, giving it a bit of weight and warmth, and neatly introducing the gingery warmth at the very end of the finish. There was a lingering gingery aftertaste that gradually became drier, although the taste of apples, grapes and raisins can occasionally be picked up amidst the warm spice. 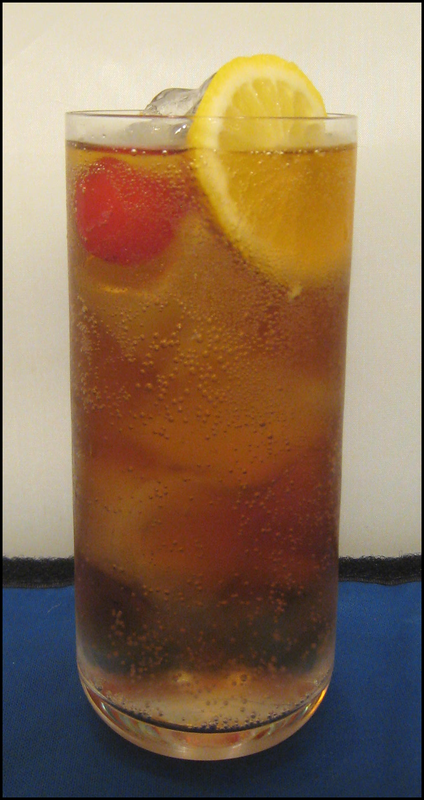 Smooth, but maybe a touch too sweet for some (this could maybe be adjusted depending on the type of ginger ale used?). If there was some way of trying this, or a variation, warm (with a still ginger soft drink), I would be intrigued to try it once the chilly evenings begin to set in. Another very different way to try this sherry, this cocktail was wonderfully cold, fresh, crisp and tart. There’s a slight perfume-like note at the beginning, which quickly makes way for tart citrus notes, with hints of herbs and spice just taking the sweet edge off of the sherry, making for a delightful, refreshing punch. The by-now-familiar warmth at the very end of the finish rounded it all off nicely. Dangerously easy to finish, without being at all light or overly sweet. 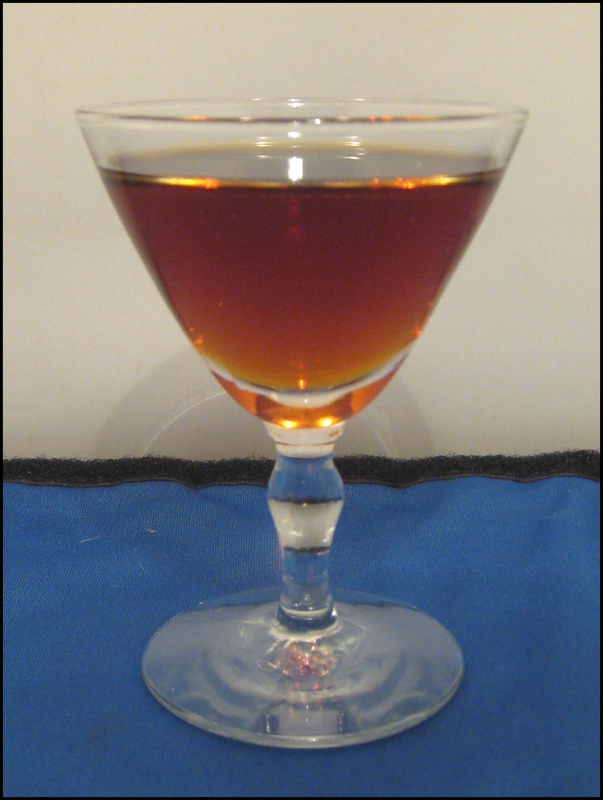 Having never tried sherry before, and with the misconception of it being something that you – or your grandmother – would sip from a tiny glass at Christmas lingering in my mind, I was highly impressed with the versatility of Harvey’s and felt that there must be at least one drink within the above list for everyone to enjoy. My favourites were, without a doubt, the Harry Harvey’s Punch, the Harvey’s Old Fashioned, and The Adonis. I thoroughly look forward to experimenting further with it as a cocktail ingredient, as well as winding down with a Harry Harvey’s Punch or Old Fashioned at the end of a long day. 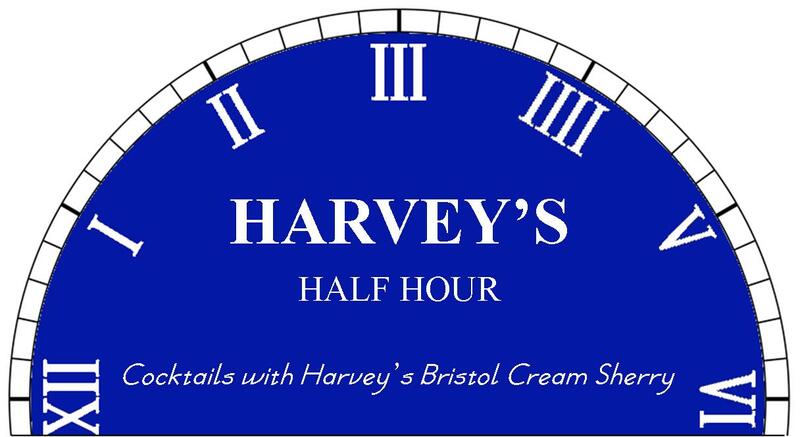 Coincidentally, Harvey’s are currently marketing their idea for a “Harvey’s Half Hour”: thirty minutes of your day to dedicate to yourself, winding down with a delicious Harvey’s tipple as you do so. Not a bad idea in the slightest! 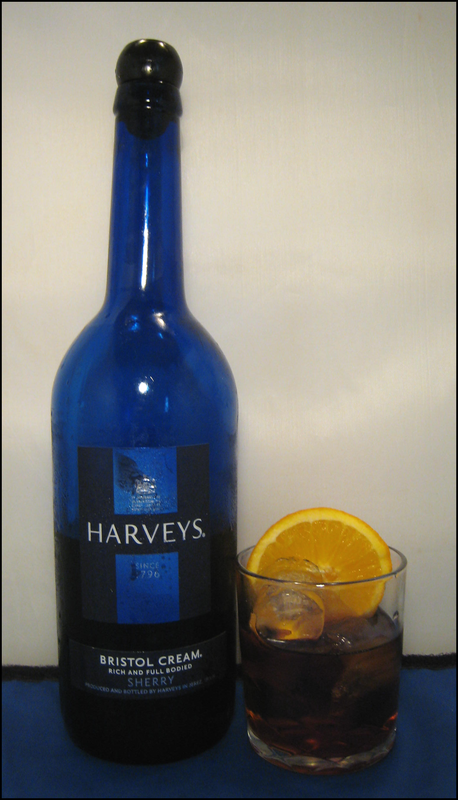 You can find ideas and inspiration for drinks to try on their website: www.harveyshalfhour.co.uk. This entry was posted in Mrs. B. & The Whispers of Whisk(e)y and tagged Cream Sherry, Harvey's Bristol Cream Sherry, Mrs B., Sherry, Sherry Cocktails by DTS. Bookmark the permalink. Having previously only tried Bristol’s in soups and stews, I feel rather inspired to venture on, and try it for drinking, rather than cooking. Thank you for the tip! Thanks for the message. Harvey’s Bristol Cream is essentially just fortified wine so as long as it is in good condition and unopened it should be fine. If it was me, it’s always prudent to open it and give it a sniff first and then taste a little bit and use your judgement.